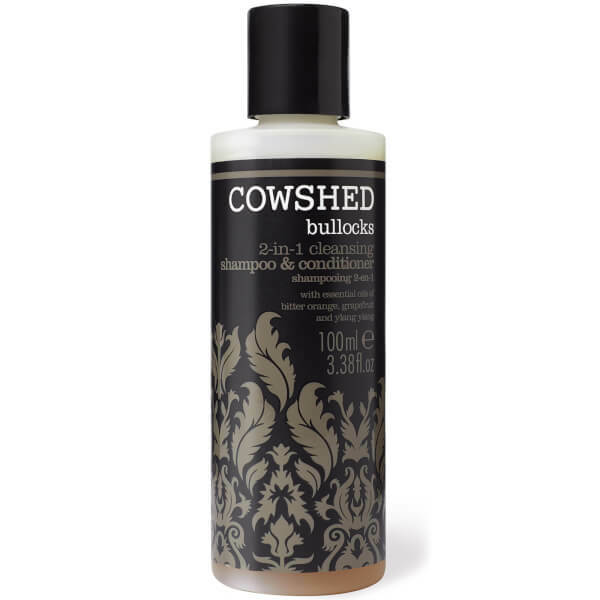 Achieve healthy hair without unnecessary fuss using the Cowshed Bullocks 2 in 1 Shampoo & Conditioner; a convenient 2-in-1 formula that cleanses and conditions locks in one simple step. 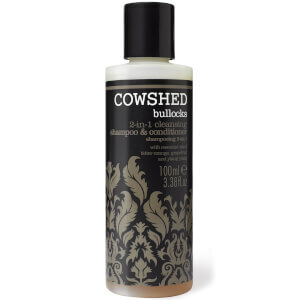 Developed for men, the Bullocks formula is enriched with Bitter Orange, Grapefruit and Ylang Ylang Essential Oils, which work in synergy to refresh the hair and scalp, whilst Sage Leaf Extract prevents the occurrence of dandruff. Daily dirt, impurities and product build up are instantly eliminated and locks are smooth and manageable. The formula is finished with a refreshing, citrus fragrance, which lends the shampoo and conditioner a warm, masculine tone. Hair is cleansed, nourished and delicately scented.